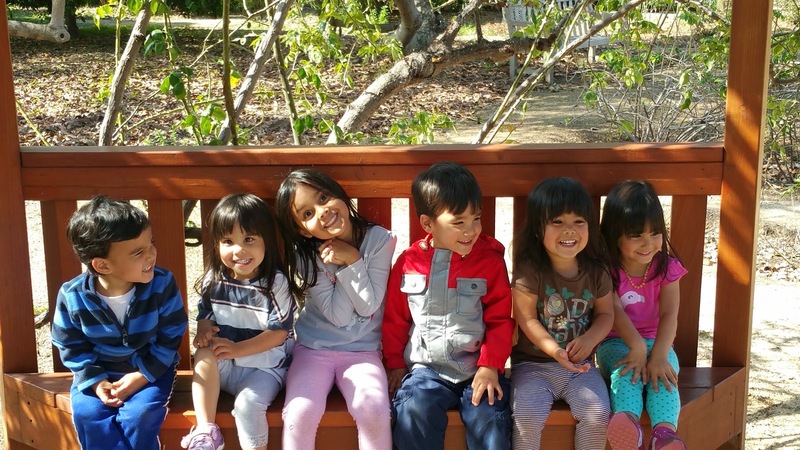 GRACE PLUS ONE: Time sure flies!! 4) Daddy interviewed in April for a promotion in IN and got it. 5) Celebrated Gianna's bday at Pump it Up, then Daddy and Mommy flew to IN the next day to house hunt at the end of April. 6) Daddy and Mommy came home for less than 12 hrs then flew to Kauai for their 10yr anniversary in May. 7) Daddy started working in IN in May while Mommy started to get ready to move. 8) Gianna graduated from Preschool end of May. 10) We went to the splash pad A LOT in July with Grandma and Grandpa so Mommy could unpack! 13) December still acclimating and organizing house. Also lost her power cord for her laptop during the move so wasn't able to write (type). it doesn't mean that she can just drop the blog for a WHOLE year, right? WE finally had to learn how to type to help her out cause she is STILL recovering from a whirlwind year. Here are some pics to show you how much we've grown in the last year and our 3yr stats! Hard to believe we are 3 already.....AND potty trained!! We took our time with all the transitions that went on this past year. Once we moved to IN, Mommy was able to knock it out by the end of summer. Our house flooded Feb.13. Stayed at Embassy Suites for a few days until they got us into temporary housing. 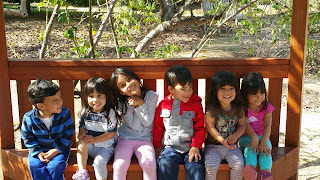 Hanging out at the Fullerton Arboretum (Left: Cooper, Emmy, Gianna, Riley, Gabby, and Addy). We ditched our table for boosters at the kitchen table! Addy is so excited to be at a normal table!! We celebrated Gianna's 5th birthday at home and at Pump It Up! 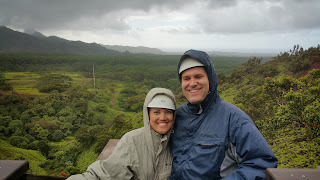 Daddy and Mommy celebrated our 10yr anniversary by going to Kuaui. It was a great way to get some R&R in before the whirlwind new job and move to Indiana. Mommy celebrated her 10yrs of service with St. Jude Medical Center at a dinner held at the Nixon Library. We had our last hurrah at Ruby's on the pier in Huntington Beach. Gabby and Addy playing "choo-choo train" going down the slide. She'll miss working with the staff at St. Jude's OPSC! YAY! Another beach day! Ms. Robin joined us this trip. Went to one of our favorite stompin' grounds, the carousel ride at SouthCoast Plaza with Ms. Alex and her sister Ms. Felicia. Cooper and Addy had to sit on the bench the first round cause they were afraid of the horses. Super Man doesn't need no stinkin' horse! Emmy- This is kinda fun! Riley- I think I'm ready to get off now. Gabby- I agree with Riley! Riding the train at the Irvine Park with Ms. Robin. The gang looking at the miniature ponies. Yet another beach day! Mr. Don and Ms. Alex joined in on the fun that day. We were invited to the opening of Billy Beez . Cooper pretending to be a chef. They had a 6-person rainbow slide that was challenging to get all the kids in the pic at the same time! Gianna got to meet Elsa (Disney Character) at her friend's birthday party. Splash pad down the street from our house on July 4th.We spent a lot of time there with our grandparents over the summer while Mommy unpacked the house and Daddy worked. Gabby getting doused by the multiple water sprays. First day of Kindergarten for Gianna! One of many group hugs at the bus stop. Play date with our neighbors Bralynn and Ellie (identical twins). 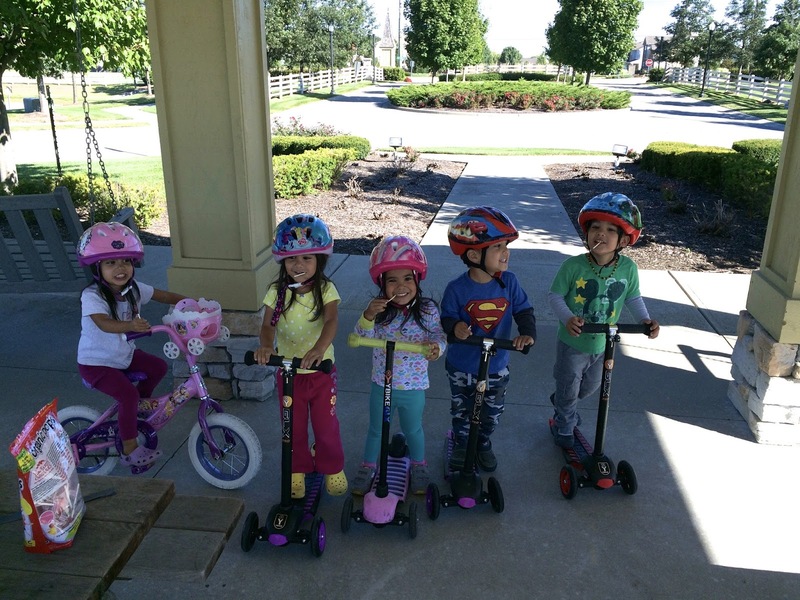 We celebrated our 3rd birthday with a few of our new neighbor friends! Daddy and Mommy rented a bounce house for us. We wanted to take our afternoon nap in there! Fall fun at Stuckey Farms. Waiting at top of hill to go down a 100ft slide. 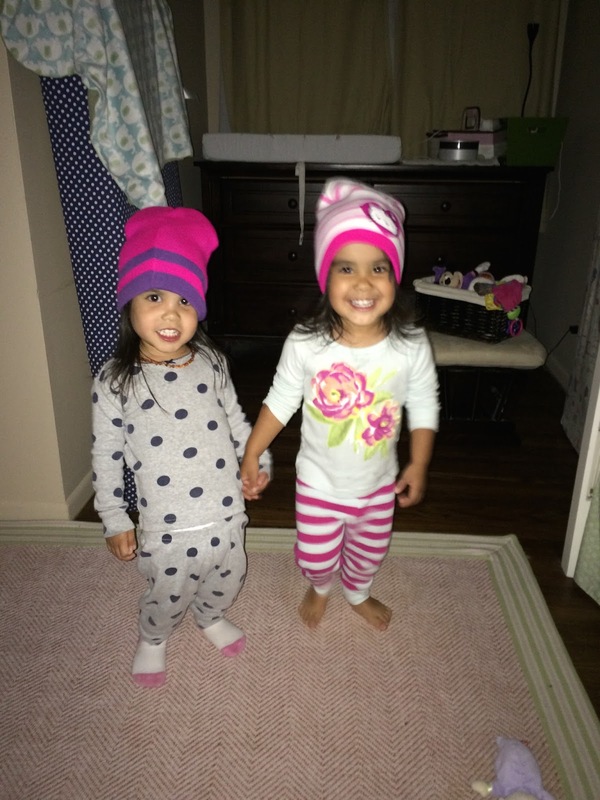 Addy and Gabby trying out their winter beanies. Mommy came through on her promise that everyone would go trick-or-treating this year! you wouldn't be able to tell by that smile! Our 3yr well check back in November! Cooper giving a group hug to Addy and Emmy. Riley trying to get in but too late. Cooper trying to figure out how long it will take for Addy to fall asleep! As we end this update, we wanna just say how disappointed we were that we didn't have a white Christmas our first Christmas in Indy. It's supposed to snow in a few days, so we'll see if we can start using our sleds!! Hope you all had a very Merry Christmas and a wonderful 2016! !